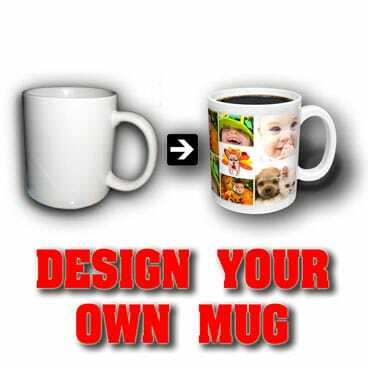 Custom printed Coffee/tea mugs made of quality porcelain.Design your custom mug with your favorite pictures, collages, logos. Give a great keepsake present, that can be used every day. Personalized mug, make a unique gift with our custom printed coffee/tea mugs. This custom mug is made of quality porcelain and can be a great keepsake to your friends and families. To add a picture click or drop an image in the rectangle field on your right. When your picture is uploaded, adjust the size, by using the arrows located on the bottom right corner of your picture. Move them until your picture fits inside the frame. You can adjust what you want to see, just faces or the hole bodies by zooming in and out. I ordered a birthday present for my mother. Thanks for making her Birthday so special!! !